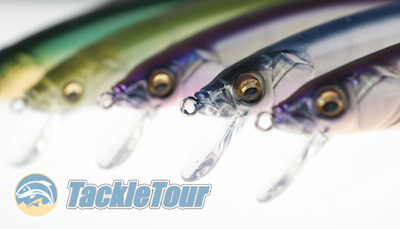 Introduction: Jerkbait season is upon us and like the erratic action of that bait darting from one side to the next, up, down, and forward, keeping up with the latest offerings in this highly contested market segment can be daunting. It's difficult enough to decide between similar products from different manufacturers, but how about when a single manufacturer offers several different versions of seemingly the same bait? 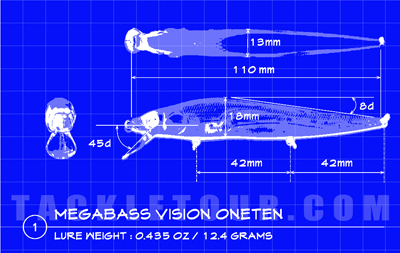 There is perhaps no more coveted a rip/jerkbait than the Vision 110 from Megabass. Case in point? For the last several years, each time we sit down to type up our thoughts on the latest incarnation of Megabass's flagship hardbait, the Vision OneTen, the manufacturer debuts a new version of the bait. First it was the OneTen Magnum, then the OneTen Plus One, the OneTen FX, the OneTen Square Bill, and now there's even a new OneTen Jr. in the works. Given how popular and effective the original bait is, how many versions of the Vision OneTen do we need or even want and are there really any differences? 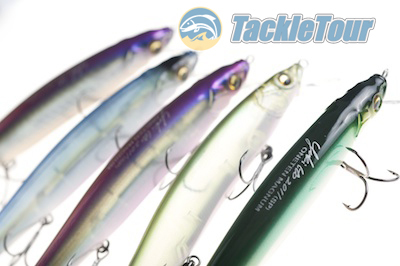 In recent years, Megabass has release several variants of the original bait. Is what makes this bait special all in the eyes of the beholder? The Original: There is perhaps, no singular jerk/rip bait that is more coveted than the original Megabass OneTen. And when we say original, we mean the old straight eye, lead weighted OneTen from several years ago. This original is so sought after in certain colors, single baits have been known to sell for well over $100 on that auction site. And this despite the only real difference between the old version and current bait being the material used to weight the baits. As we discovered in our autopsy of this bait two years ago, the original had lead weights, the current version is weighted with tungsten. Breaking down the original Vision 110 to see if we can uncover what makes this bait so special. So what's all the fuss about this bait? Well, first off, if you look at the Katsuage hooks that come stock on the Vision 110, you'll notice they are very fine wire. Most anglers see this and think the hooks need to be replaced because they're far too thin. Given how heavy a line most anglers choose these days, and the pressure at which they set their drag, they're probably right. What anglers need to realize is Megabass intends this bait to be fished on light line, preferably ten or even six pound test. It still won't convince those without an open mind, but we see no discernable difference in action between the straight and down eye versions of this bait. 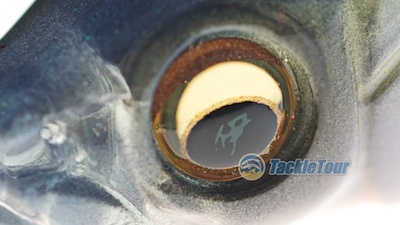 Using light line allows the bait to reach its optimal swimming depth of four to six feet, but also enables the bait to move more freely in the water. Retrieved properly, the Vision 110 not only darts from side to side but it does so in an arching fashion shooting up, and then back down as you jerk your rod tip. Additionally, as the bait is being pulled in the water it wobbles from top to bottom giving off a flash of color, but it also has a tail wag from side to side. Heavier line and hooks have the potential to impede action taking the bait out of its factory tuned equilibrium but more on this later. Here's an underwater look at each of the variants from this article in action.